THE pilot, whose plane crashed at the Shoreham Airshow, has been speaking in public about the tragedy for the first time as he gave evidence in court. The crash, which took place on August 22, 2015, resulted in 11 men losing their lives. Fifty-four-year old Andrew Hill, of Sandon, Buntingford, Hertfordshire, denies 11 counts of manslaughter by gross negligence. 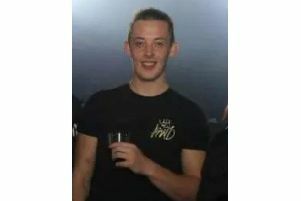 One of those who lost his life was former University of Portsmouth student, Jacob Schilt, who was aged 23 at the time. Jacob lived in Portsmouth for three years while he studied for a degree in geographical information systems. He also played for Worthing United and it was on that fateful day he was heading to the game with his friend and team mate, goalkeeper Matthew Grimstone. It was while travelling to the game that the 1950s Hawker Hunter fighter jet plunged to the ground and exploded in a fireball on the A27 in West Sussex. The crash occurred after the plane failed to complete an aerobatic manoeuvre. Prosecutors had previously told the court that Mr Hill had taken ‘risks’ in the past and suggested he sometimes played ‘fast and loose’ with the rules. Prosecutors said he may have had a ‘more cavalier attitude to safety than was appropriate’. The jury of seven women and four men listened as he told the court he sometimes held back from flights he was not comfortable with carrying out. Referring to Hill's final display he was asked if he intended to cause risk to anybody. The jury was later shown footage from another airshow at Shannon Airport, Co Clare, Ireland, just over a month before the crash, in which Hill carried out the same ‘bent loop’ stunt in the same aircraft without issue. Mr Hill claims to have experienced ‘cognitive impairment’ shortly before the crash and does not remember what happened. After being thrown from the burning plane he told medics he ‘blacked out in the air’. Mr Hill was later found with blood on his face, lying in undergrowth beside the cockpit. The court heard Hill had passed medical checks before the crash and tests and scans carried out afterwards did not show any sign of a medical condition – including cognitive impairment – which may have affected his health leading up to the crash. The trial will resumes today.